It's that time again, folks... Time to start gearing up for the upcoming presidential election. With Hillary Clinton running for president in 2016 (RESPECT), people are getting amped for the next big vote. In particular, I'm looking forward to another season of debates. How come I'm so excited about watching two people in suits arguing about policy? Because said televised arguments bring with them a whole new set of hilarious misadventures in mansplaining, political memes, and of course, pictures of presidential candidates getting their makeup done. That last bullet point is something I take particular enjoyment in. Watching the men who comprise largely testosterone-charged world of American politics engaging in a "feminine" activity, such as having foundation dabbed on your face, is tremendously satisfying. I don't think anyone's about to argue with me on that (if you desire to do so, kindly refer any and all criticism to me on Twitter). It seems to underscore the fact that, despite the popular notions of how men and women are supposed to perform, we all deal with one immutable truth: pretty hurts. Because let's be real here for a sec, guys. Male politicians love Sephora just as much as you do. 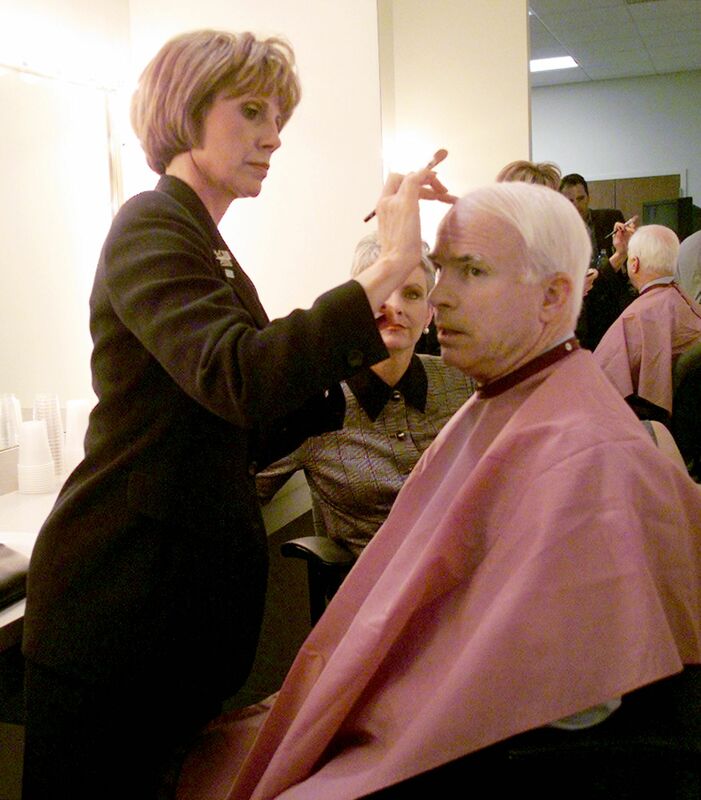 Without further ado, here is an amusing collection of pictures featuring various presidential hopefuls having makeup applied on their faces.